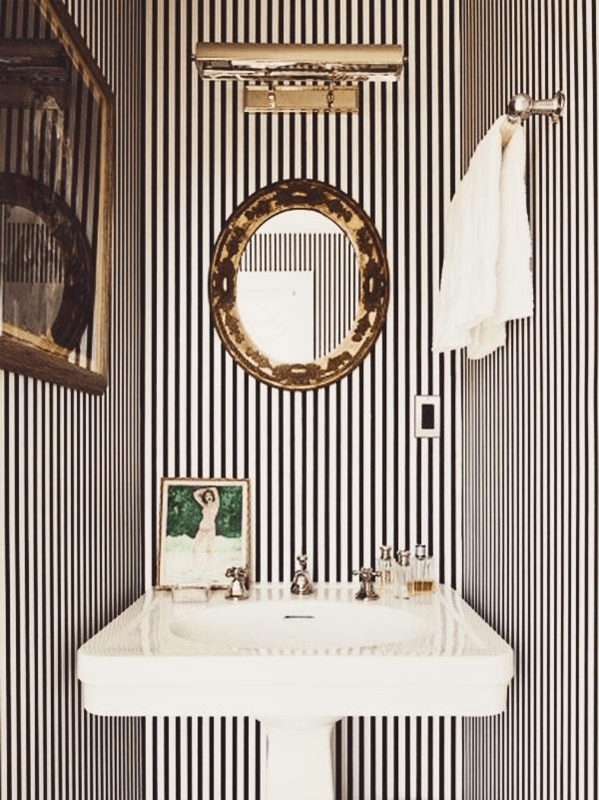 Is your small powder bathroom representing your style? 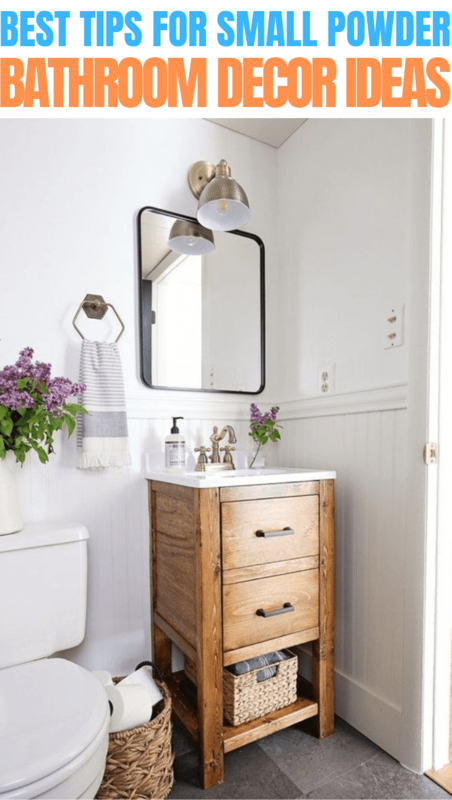 Here are some expert tips and ideas to modify your small bath into something you will really love. Check it out. 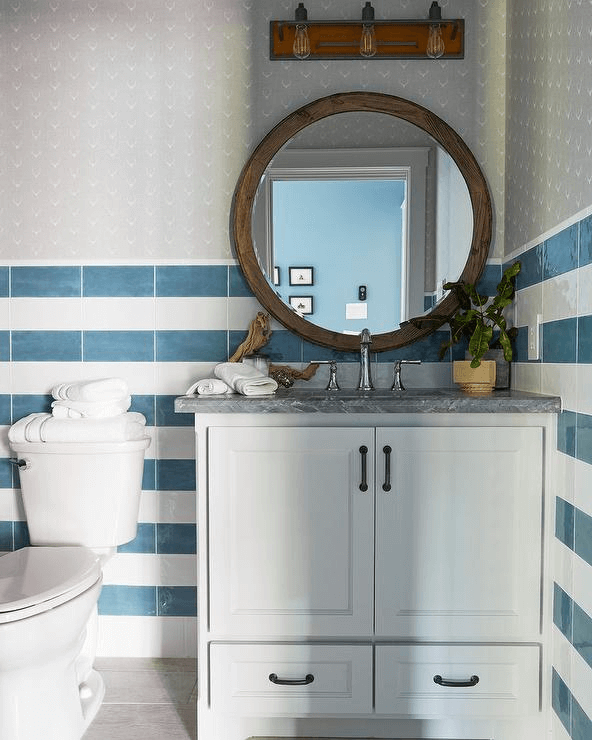 You can color your small powder bathroom using blue and white stripes to transform your room into a pool-like finish. The stripes on your wall will help people see a loftier and taller space. If you do not like the combination of blue and white, you can pick other colors that you like the most. Using bright and warm color is essential for balance though. One of the keys to make your room getting larger is by embracing vertical line on your space. To decorate your room, you can add open shelving, some baskets, or decorative cute baskets which are good for saving your extra necessities. If you need a place to store your bathroom amenities, you can use a medicine cabinet. You can put it above your toilet, or free wall for the effective and perfect accessory. You can color that cabinet based on the color you like or based on your bathroom theme as well. Make it as beautiful as possible. 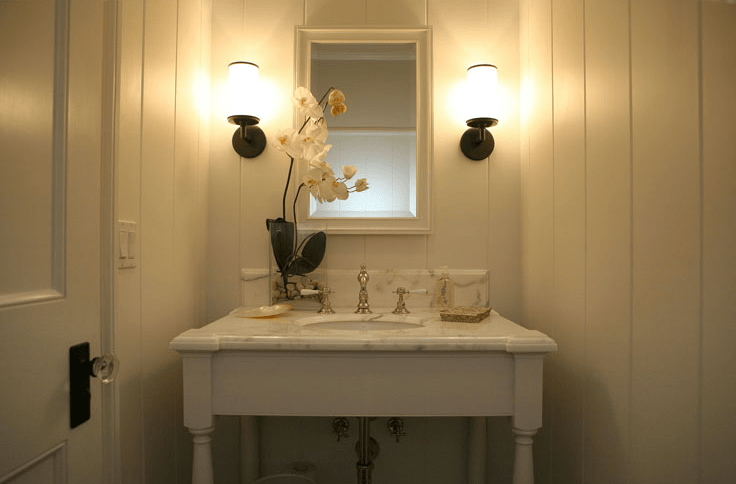 If your powder room is too small, you can add an armoire or a bookshelf to store extra toothpaste, shampoo, soap, or towels outside the powder room. That idea can keep your room stay comfortable and clean to work with. 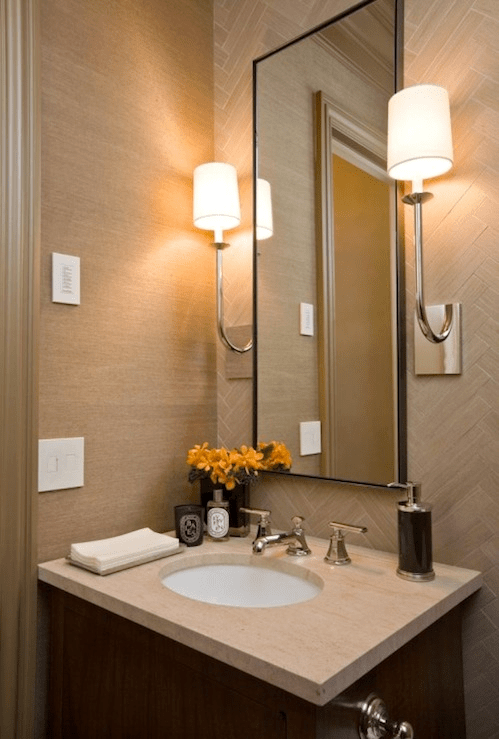 Having plenty of storage and good lighting in a small powder room is a good idea. Moreover, you can opt built-in shelves that can make so much difference. It is aesthetically pleasing and practical for you, while it also gives more space in the room. Besides, choosing the natural light and light wall colors brighten your entire room. Putting a cabinet in your room is a must. Remember that you need to consider the best cabinet that suits your room. Usually, you need to store the wash clothes, extra guest supplies, and hand towel there, so choose everything you need before you buy. Arranging a wall-mounted faucet, clean lines, and glass shelves that come together in your small powder bathroom can minimize the unnecessary space. It also maximizes storage on your space. It is a nice trick to make a larger room impression. A smaller room needs fewer furnishing to make it more spacious and comfortable. That’s why people tend to place many stuff inside a small powder bathroom. If you have many things to store inside the bathroom, it is better to put a big basket to keep your stuff. There are some common categories of bathroom vanity tables and furniture which suit on the small powder bathroom. You can choose the one that suit you best, for example, you can choose the traditional one if your bathroom concept is back to nature. Remember that you need to opt the storage depend on your necessity. 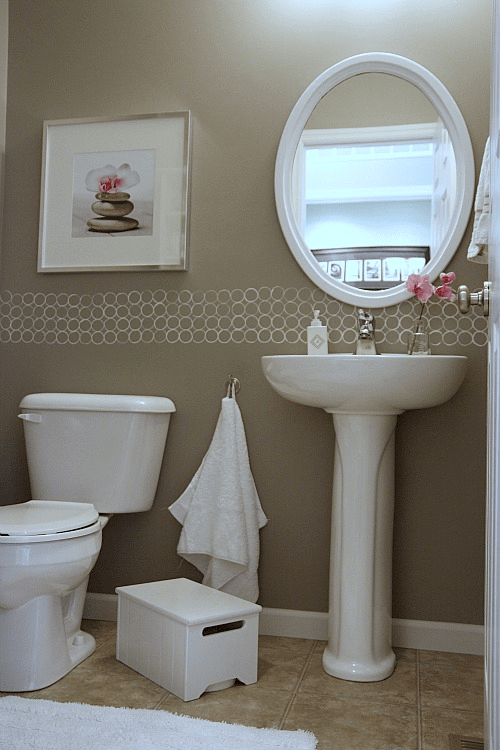 Have you got the ideas for decorating your small powder bathroom? Choose the one that suits you best.